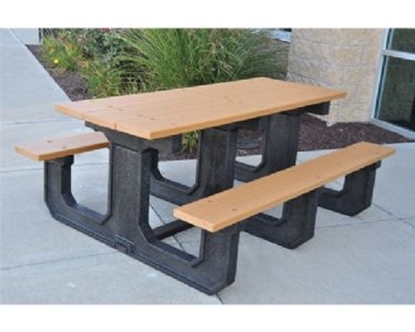 Quick Ship Outdoor Benches, 5 Foot Recycled Plastic Commercial Bench, 120 lbs. This 5 foot bench is made with 2 x 4 recycled plastic lumber slats and a powder coated cast aluminum frame. Recycled plastic lumber does not need to be treated or replaced from splintering. 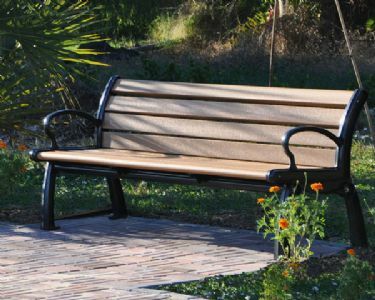 Our recycled plastic benches have the beauty of natural wood with the long life and low maintenance of recycled plastic.